As San Serif typefaces have only been around for about 100 years, it is necessary for designers or enthusiasts to have an understanding how it all came about. Based on known historical accounts, officially, modern sans serif has been created on 1816 by William Caslon IV at the English Type foundry. The English Egyptian Typeface is designed only in capital letters in 28 points. Nevertheless, Caslon was not fully convinced on the success of the English Egyptian. Design-wise, the very first sans-serif type bears no value. Then came; Akzidenz Grotesk created in Berlin at the German Berthold type foundry. The history and overall design of Akzidenz Grotesk was far more interesting and became an instant hit. 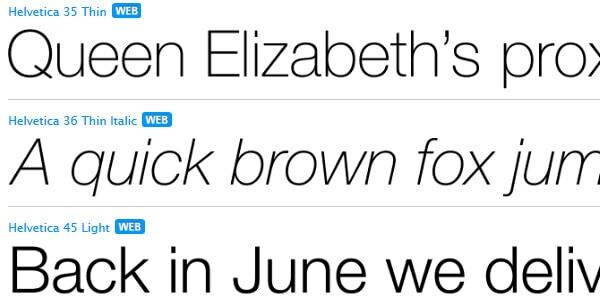 Soon enough, many other type foundries are designing sans serif typefaces similar to that of Akzidenz Grotesk. It was initially used as a display face but a lower case has been included to make it more suitable for text. When the first typefaces of this sort came about in the 1830, people first considered them as blatantly grotesque and due to their controversial appeal; they are a rarity in texts and other printed forms with an exception of advertising. The typeface remained till new art and industrial trends appeared especially with the blossoming of the German Bauhaus. A unique typographic expression became essential to firmly establish this new revolution in art and industrial design. The main appeal of Sans Serif would not be understood until the early 20th century. The idea of things being beautiful only if it bears significance or purpose has become the reason why a simplistic typeface would become a preferred type during these periods since there is no reason to artificially embellish the type. It seems the prevalence of sans serif, from the Akzidenz Grotesk would not push through without the Bauhaus ideology which began and evolved in Germany. One of the more popular sans serif styles to have come up on 1928 was Futura. It bears a strict, geometric form and carries no embellishing and lightly conforms to the shapes of historical forms. It was disputed by some, but nevertheless, Futura was definitely refreshing and new. Even if Futura was a revolution on its own, its influence and usage in the world of typography and design wasn’t as resonating as with Helvetica who took the reins as the standard to the masses on what sans serif should look like. Helvetica bears the same essential features of a sans serif typeface- simple, lack of embellishment, and no-nonsense. This 1957 typeface creation, along with other iterations of Akzidenz Grotesk such as Univers have become reactions to the geometry offered by Futura. 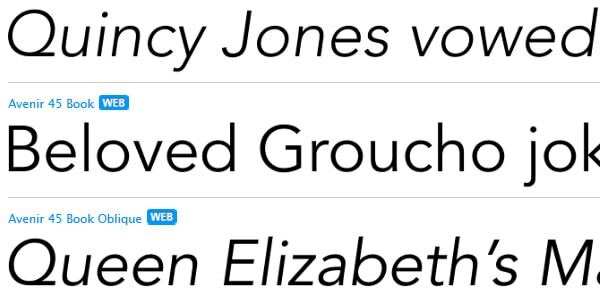 For some, the history of sans serif was a mere history of copying, plagiarism and watering down of true innovative sans serifs, particularly of Akzidenz Grotesk. Nevertheless, it is important to give credit to these unique changes as they have big influence to how people perceive text, read advertising and how the represented the design condition during the decades when they were created. The serif typeface has seen incredible development from the classical fonts to the more modern typefaces that we see today. With the artificiality of Futura to the more neutral appeal of Helvetica, the sans serif has become more liberal and the humanist trend has become a popular derivative. The movement of humanistic Sans serif can be traced from the 1976 typeface called Frutiger that carries similar Helvetica forms but with anti-geometric forms. The changes were subtle but are necessary to remove the severity common in old sans serif styles. The result of the humanist sans serif was friendlier and warmer, distinct from Futura and Helvetica. From Frutiger, the seeds of more humanistic forms have sprouted such as the Meta in 1984 with narrower strokes and elongated shapes. The purpose of creating these elongates shapes was purely practical in nature. Erick Spiekermann who created Meta wanted to economize the font while keeping them readable even in smaller sizes or type conditions. 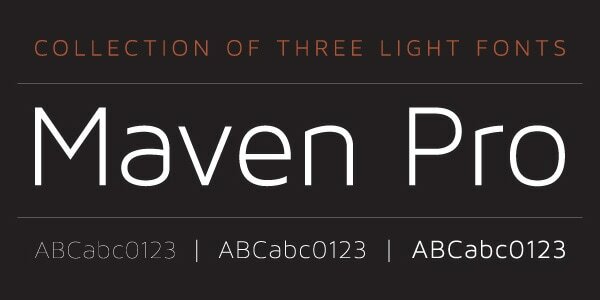 Maven Pro is an original Sans Serif free font that was improved with geometric shapes. It exudes an image of modernity, stylishness, and elegance. Created by Joe Prince, it features three ultra light weights. 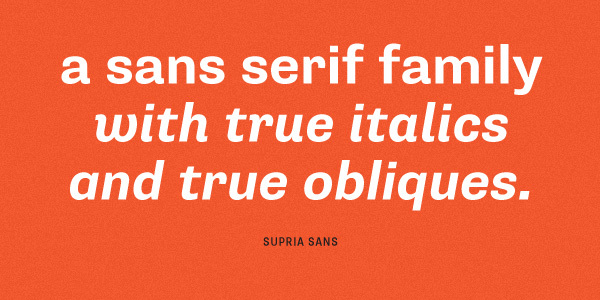 Supria Sans is a universal type family that includes 36 fonts. Here you will find a curvy italic version for setting up the feminine atmosphere and a sharp oblique version for blending in more conventional and casual interfaces. 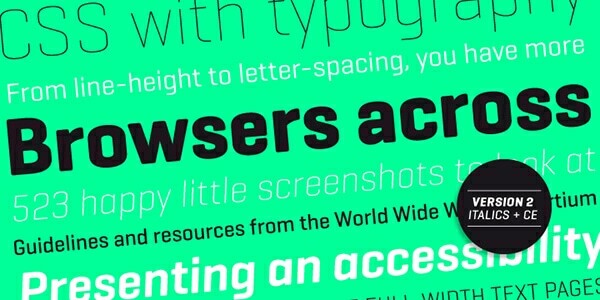 It offers two widths, six weights, and three styles. As for OpenType features, it comes with an extended set of characters to support both Eastern and Western European languages. 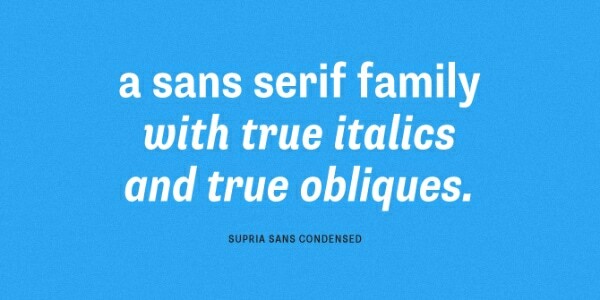 Supra Sans Condensed is a slightly improved version of the previous font that possesses the same huge potential. However, it has narrower lines, and, as a result, boasts of a more delicate appearance. It has six weights and three styles that let you choose your level of delicacy and subtlety. It plays perfectly well with its companion. 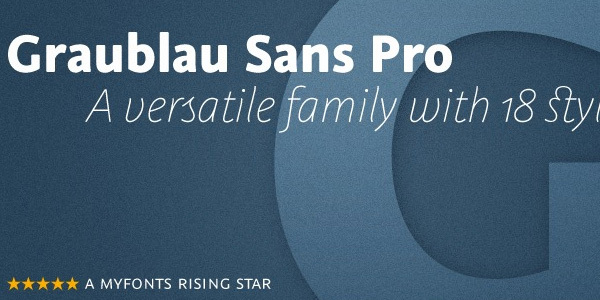 Delivered with over 1000 glyphs per style, seven weights, and six additional display styles, Graublau Sans Pro is a versatile font family that fits various tasks. Each style bears its nature and spirit. Thus, regular versions with clean appearance are appropriate to neutral and casual designs while italic versions with handwritten traits are suitable for artistic and exquisite projects. 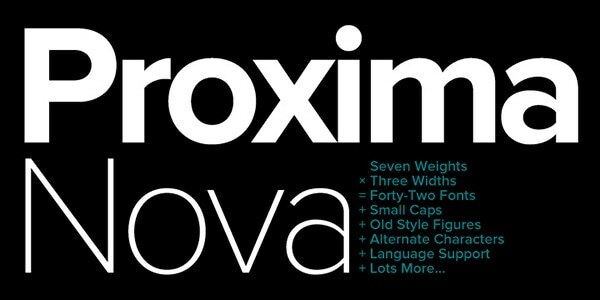 Proximus Nova looks attention-grabbing in various options. 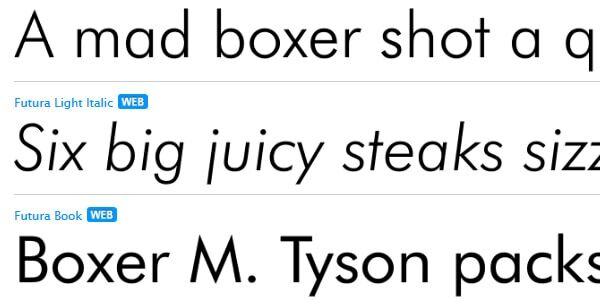 Much like the previous font, it also has the power to satisfy different typography tasks. Thus, you can use it to add subtlety to the interface, or vice versa employ bold version to make the presence of a title felt. 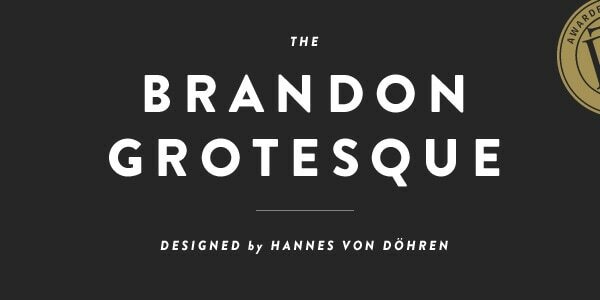 Brandon Grotesque is well-suited to numerous original designs. Although it has a subtle nostalgic vibe, yet this old-timey feeling enhanced by Art Deco nature sets it apart from others and makes it look visually-interesting. The author has skillfully improved geometric shapes giving the font a more legible and elegant appearance. As usual, you can use it for showing copy in different European languages. It also has automatic fractions, works well with a case sensitive forms and supports Central European languages. Futura is one of the most popular fonts in its kind. It is a modern geometric sans-serif font that run the show in the middle of the twentieth century and was skillfully revamped to meet current trends. It will overwhelm you with its versatility. It includes ten styles from light italic to extra black condensed italic. Each character is composed of even weights, perfect circles, and isosceles triangles. Although it is claimed to be grotesque, yet in fact, it has a clean and fresh appearance that is suitable for the majority of projects. Intro boasts of being legible in any size and style whether used in print media or web-based UIs. 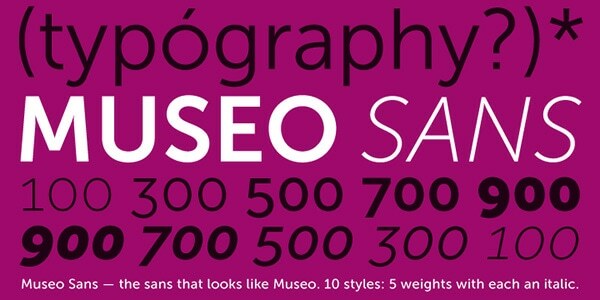 It offers 50 type variations with optimized kerning and geometric nature. It includes all the sorts of characters and symbols to work with various languages, and is best suited to give titles a top priority. 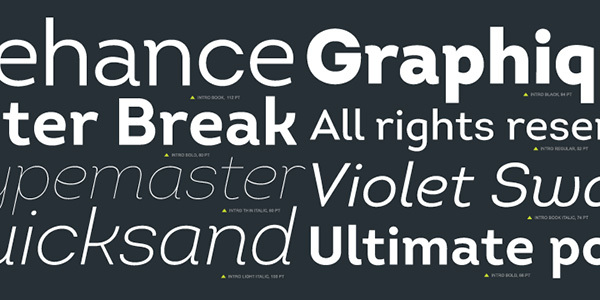 Neue Helvetica offers over 50 different font weights from fragile Ultra Light to massive and robust Black. It is versatile, universal, and quite neutral. Currently, it is one of the most popular choices among graphic designers. The license lets you use it in the web, desktop, apps and ebooks. Swiss 721 is considered to be one of the best sellers. And it is not surprising, it was created in the best traditions of sans serif. It is neutral with a sense of classy elegance. It includes all the necessary glyphs for displaying text in different European languages. Being created in later 80s, Avenir is still a number one priority among designers. It is a linear sans serif that was inspired by beauty and versatility of Futura and Erbar. However, it has some stylistic nuances that differ it from those two and give it a certain charm. It makes any text look readable and easily scannable. It is delivered in six weights ranging from light to black. It fits to be used in print media, various publications, and graphic designs. 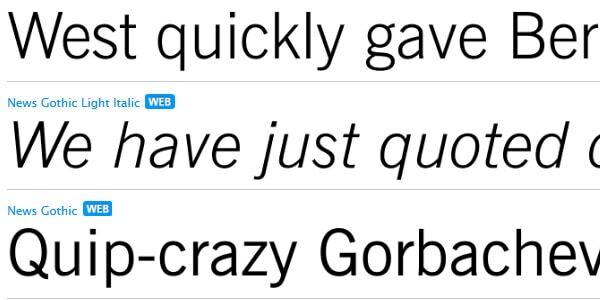 News Gothic is a classic sans serif font that first appeared at the beginning of the twentieth century. It was skillfully digitized and converted into a type family that is capable of fulfilling numerous regular tasks, starting from prettifying headlines in posters and ending up with giving titles in websites more prominent look. It offers 15 styles and is available in two basic formats. Centrale Sans Condensed is a refreshing and more elegant and delicate option of its sibling, Centrale Sans. 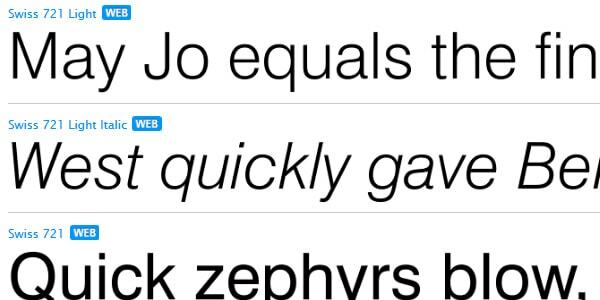 It includes nine standard weights available for upright and italic versions. Although it can be used only in desktop and web based projects, yet, it has some extra features taken from OpenType fonts such as tabular figures, stylistic alternatives, discretionary ligatures. Nexa is a conventional web font that offers excellent legibility regardless of size. It has styles and weights for regular and italic version, resulting in 16 different variants. It is an excellent instrument for giving headlines more dominant position. Moreover, in standard version it can be also used to display simple text.